Sick of paying a premium for Mercedes-Benz service? Discover Ammstar’s drive towards better value and service. At Ammstar, we focus solely on one thing: Mercedes-Benz vehicles. This laser focus is what makes us the number one choice for Mercedes-Benz owners in Hawthorn. This allows us to provide the kind of services you’d normally have to return to a dealership for, all at a lower price point. Did you know that many “home brand” products come off the same production lines as branded foods? OEM components work in a similar fashion. Standing for Original Equipment Manufacturer, the only difference between OEM and genuine Mercedes-Benz parts is the lack of the three-pointed star. Everything else – tolerances, processes and factory – are practically identical. OEM parts aren’t just indistinguishable from the real deal – for all intents and purposes, they are the real deal! Thanks to our relationships with OEM suppliers, we’re able to offer you favourable deals on service and maintenance without sacrificing the quality of the components. This is what allows us to offer such attractive price. Dealers rely on car servicing to make a profit – that’s why they’re so insistent on dealership service and genuine parts! 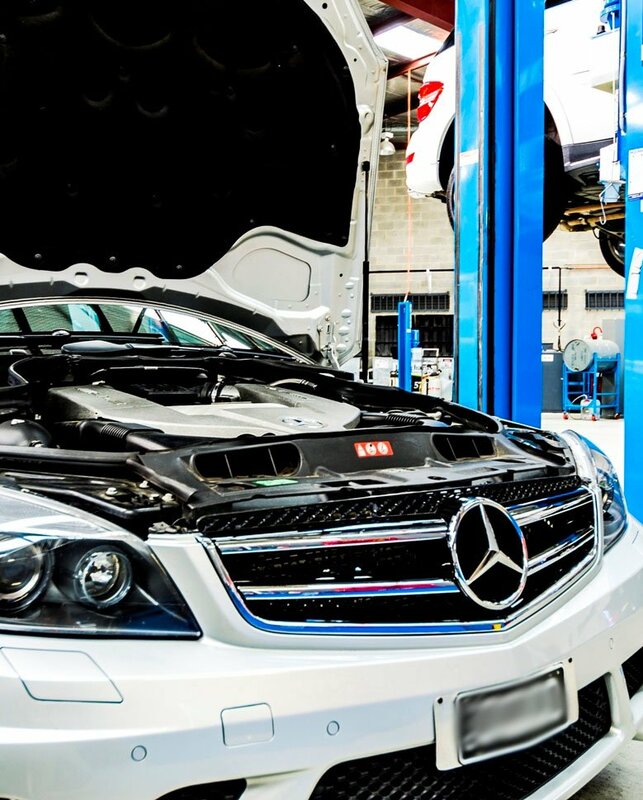 Unlike your dealership, Ammstar operates independently of the Mercedes-Benz dealership network – this means we don’t need to worry about any of those costs. And for you, that means a superior price! View our Mercedes-Benz services here.